Karma Lawrence tells NJ.com she shot the photo on impulse and meant no ill will toward Geoffrey Owens. She shuttered her social media accounts after the picture turned up on news sites, and she received a wave of negative responses. Owens, 57, played Elvin Tibideaux, the husband of the eldest daughter of Bill Cosby's character on the TV show. The photo showed him at a register scanning items at a Clifton, N.J., Trader Joe's complete with a "Geoffrey" name tag. But he no longer works there due to the unwanted attention he received. 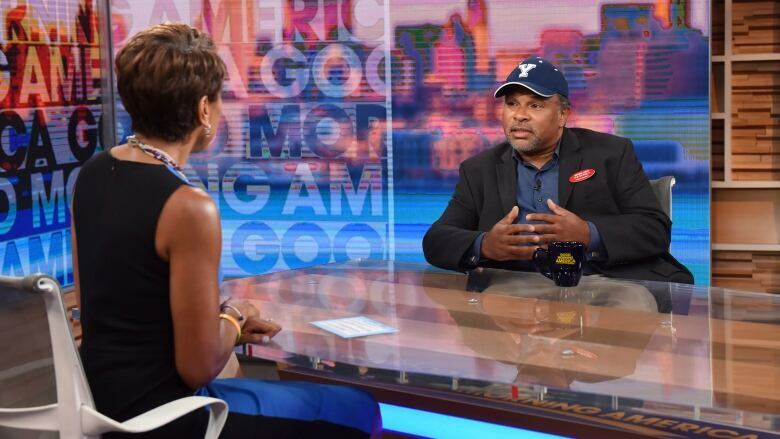 On Tuesday, Owens told ABC's Good Morning America that he did feel some people were trying to job shame him. But he stressed that "every job is worthwhile and valuable," adding that what's important is the honour of the working person and the dignity of the work.